This article in our series of New Testament people begins with Elizabeth, the mother of John the Baptist, and ends with Jezebel, a false prophetess who led the church in Thyatira to sin. Discover the answers to the following fascinating New Testament questions. Who was the famous Rabbi who taught the Apostle Paul in his youth? Who was the first of the twelve apostles to be martyred? What did John the Baptist do that led to his head being chopped off? Which important New Testament church leader and author was the half-brother of Jesus? 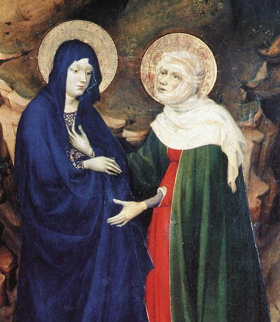 Elizabeth, the wife of Zacharias, was also the cousin of Mary, Jesus' mother. The New Testament declares she was a righteous woman who was a descendant of Aaron (Israel's first High Priest). Elizabeth had been unable to have children her entire life. When she was old, however, God healed her and allowed her to become pregnant with John the Baptist. After she was six months pregnant her cousin Mary came and stayed with her for three months (Luke 1:56). Who were John the Baptist's disciples? When was Jesus baptized by John? The Life of John the Baptist! Apostle Paul resurrects the dead! How did God force Paul to visit Troas? People brought back to life in the Bible! Felix was the Roman Procurator of Judea from 52 to 60 A.D. He left the apostle Paul in his prison, for roughly two years, while he waited to be bribed. For more information, see Felix's listing in our article on people connected to the Apostle Paul! Map of Rome's rise and fall! Picture of Rome's largest arena! Festus was Roman Procurator of Judea from 60 to 62 A.D. and the New Testament successor of Felix. He revisits the case against the Apostle Paul, who has been in Caesarea's prison for at least two years. Paul is sent to Rome for his trial when the apostle requests his case be heard by the Roman Emperor. For more information, see Festus' listing in our article on people connected to the Paul. Paul and Rome's greatest road! Advantages of being a Roman citizen! The Apostle John addresses his third and final epistle to Gaius, a man who was greatly beloved by him (3John 1:5 - 6). John states he was someone who not only walked in the truth (verses 3 - 4) but also faithfully served both fellow believers and strangers (verse 5 - 6). Nothing more is known about him. Information about two other men named Gaius, found in the New Testament, can be accessed in our series of people connected to the Apostle Paul. Worshipping God in spirit and truth! Gamaliel was a well-known first century Rabbi who taught Paul when he was young. When the twelve apostles were brought before the Sanhedrin, the year after Jesus' resurrection, he wisely counseled them to "leave them alone." He gave this advice lest the Jewish religious leaders found themselves fighting against God! Read more detailed information about Gamaliel. Herod the Great was the son of Antipater, the person who started the Herodian dynasty of rule in Palestine. Herod was made tetrarch of Jerusalem and Galilee in 41 B.C. by Mark Antony. One year later, in 40 B.C., the Roman Senate gave him the title of King of Judea ("King of the Jews"). 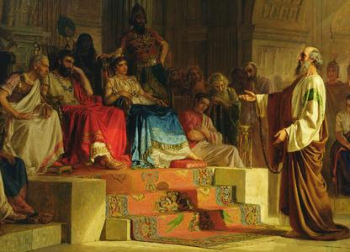 In 37 B.C., after three years battling to gain control of the region, Herod becomes sole ruler of Judea. In 20 B.C., he begins the massive repairs and restoration of Jerusalem's neglected temple. Known for his cruelty, Herod orders the slaughter of male babies, two years old and younger, around Bethlehem in an attempt to kill baby Jesus. Herod would ultimately marry five women (Doris, Mariamne I, Mariamne II, Malthace and Cleopatra of Jerusalem) and produce at least nine known children. His reign of cruelty ends when he dies around 4 B.C. Why did Herod FEAR the Magi? Herod Agrippa I was the son of Aristobulus IV (Herod the Great's son) and a woman named Berenice. He was made Roman Tetrarch over Galilee and Perea in 39 A.D. and in 41 was declared king of Judea. The New Testament records that Herod, to please the Jews, had James, the brother of the Apostle John, murdered. This made James the first of the twelve apostles to die as a martyr. Herod also threw Peter in prison. Agrippa finally met his demise, in 44, after God sent a death angel to kill him after a speech he gave did not give the Eternal the glory he deserved. Herod Agrippa II was the son of Herod Agrippa I. While visiting Caesarea in late 60 A.D. he hears Apostle Paul's defense of himself after he had languished two years in the city's prison. Read more detailed information about Herod Agrippa. Herod Antipas was the son of Herod the Great through a woman named Malthace. After the death of his father, he was made tetrarch of Galilee and Perea around 4 B.C. After being condemned for unlawfully marrying Herodias, the wife of his half-brother Herod Philip I, Antipas arrests John the Baptist and puts him in prison. He then, because of a promise made to Salome (Herodias' daughter through Herod Philip) on his birthday, has John beheaded. He later, in 30 A.D., would mock Jesus before his crucifixion. Does the Bible condemn birthdays? Herod Philip II, also known as Philip the tetrarch, was the son of Herod the Great and his fifth wife Cleopatra of Jerusalem. He was born around 26 B.C. Around 4 B.C., after the death of his father, Rome gave Philip the northeastern part of his dad's kingdom to rule. This region included Batanea, Auranitis and Trachonitis (territory north and east of the Sea of Galilee). He ruled this area until his death in 34 A.D.
What made Egypt's Cleopatra unique? Herodias was Herod the Great's granddaughter, as her parents were Aristobulus IV (son of Herod the Great and his second wife Mariamne I) and Berenice. She was first married to Herod Philip I (also known as Herod II) who was the son of Herod the Great through his third wife Marianme II (she was the daughter of the High Priest Simon, son of Beothus). They produced one daughter named Salome (Antiquities of the Jews, Book 18, Chapter 5, Section 4). Herod Antipas, upon seeing his half-brother's (Herod Philip's) wife Herodias, fell in love with her. Both Antipas and Herodias then agree to divorce their mates and live together. 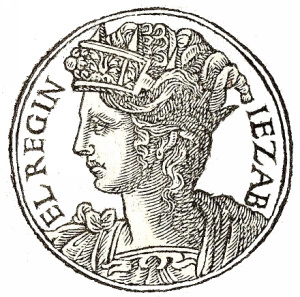 The historian Josephus confirmed this arrangement when he stated that Herodias, "took upon her to confound the laws of our country (Israel), and divorced herself from her husband while he was alive . . ." (ibid.). John the Baptist condemned the marriage of Antipas and Herodias on the grounds it was both incestuous (Leviticus 18:16) and adulterous (Leviticus 20:21). His condemnation got him thrown in prison by Herod Antipas. Herodias' desire to have John killed came to fruition on Herod's birthday when she used Salome, her daughter, to request the Baptist's head on a platter. The death of John the Baptist! Can guilt of adultery be forgiven? This James is one of the physical half-brothers (same mother, different father) of Jesus Christ. He was a leader in the early church, especially in Jerusalem, and presided over the Jerusalem conference. He also wrote one of the books of the New Testament named after him. Read more detailed information about James. Why did Martin Luther reject James? Where was New Testament written? When did Jesus appear to James? This James, sometimes referred to as James the Greater to distinguish him from another apostle named James, was the brother of fellow early disciple John. He was the sixth person called and chosen to be one of Jesus' twelve apostles. He, as well as John, Peter and Andrew, were fishermen who often fished together (Luke 5:10, Matthew 4:18). The New Testament indicates that James was one of the three closest disciples to Christ (Mark 1:29, 5:37). He, as well as Peter and John, were the only witnesses to Jesus' transfiguration (Matthew 17:1). 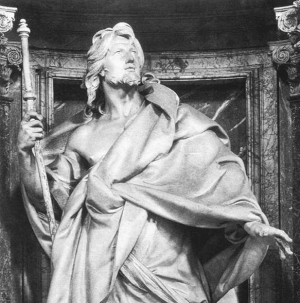 This James became the first of the twelve apostles to suffer martyrdom when he was beheaded by King Herod Agrippa around Passover in 44 A.D. (Acts 12:1 - 2). When God's builds his New Jerusalem, the gemstone that will be an everlasting memorial to this James' efforts will be a carnelian stone. Did Apostle John die in Ephesus? This James, sometimes referred to as "the Less" (Mark 15:40) to distinguish him from another original apostle named James, was the son of Alphaeus. He was also the brother of both original apostles Judas (also called Lebbaeus and Thaddaeus) and Simon the Canaanite (Simon the Zealot). Not much is known about this James. Foxe's Book of Martyrs believes he lived to the age of ninety-four at which time he was beaten and stoned to death by Jews. When God's builds his New Jerusalem, the gemstone that will be an everlasting memorial to this James' efforts will be a topaz. Why did Jesus choose twelve apostles? Jezebel, mentioned only in the New Testament book of Revelation, was likely not the actual name of the woman being discussed. She was likely labeled this because she exhibited some of the characteristics of the original Jezebel, one of the most evil women in the Bible. Access our list of Old Testament people for more information about the original Jezebel. How was Jezebel punished by her sins? List of most evil people in Scripture!